Mutual Shark protective glasses have a single panoramic lens design and offer superior frontal and peripheral protection. 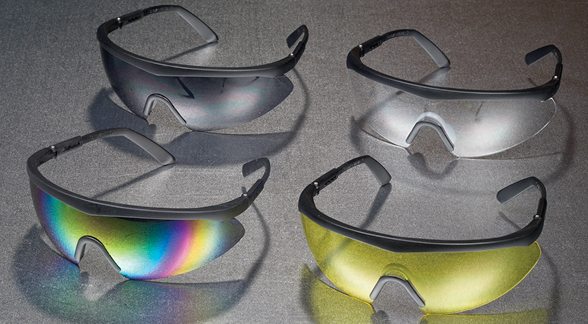 The Shark offers ultimate hazard protection with a full range of view and 7-base curve design. Meets or exceeds all ANSI safety standards including Z87.1-1989.